reading avidly dot com: ah ... I've been waiting for this one! My favorite of his books is Lamb, followed by Sacre Bleu. I hope this one measures up. I have not heard of this book but can't wait to read the review. Have you read any of his other books? Some are just silly, but the two I mentioned are really quite good. 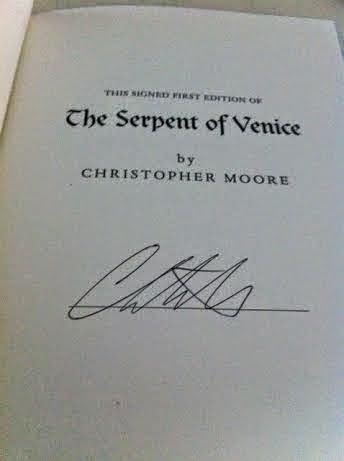 I think I'm going to read "The Merchant of Venice" before starting this so I have the original in mind before starting. I haven't read his books, but Yvette over at Yvette Can Draw loves his books, and wrote a wonderful review of Sacre Bleu, complete with a pre-post of several gorgeous works of art with brilliant blue tones. Sacre Bleu is to die for. 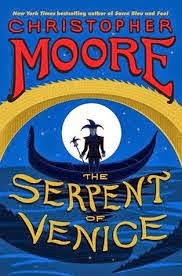 It was a mix of art history, fantasy and comedy -- a book I absolutely loved.